There are instances where all your options when it comes to getting money to solve a particular need could just seem to be unavailable. This is especially when you have something urgent and/or important you need to immediately take care of. Your last resort will therefore be to approach a financial institution or loan company to help you with a fast loan you can use to solve the problem and then pay back as soon as you receive your next payment, which might be ending of the month or any time less than a month after the loan. Here is a quick guide on fast loans. A loan company will always be interested in what you earn on a monthly basis. If you are not willing to divulge that, then it might be better not to ask loan from a financial company. All quick loans online company and other small quick loans firms will always request that you upload or present your statement of account for a period of time, which could range from 3 months to a year. With this, they will have an idea of the inflow of cash to your account and how much credit alert you get in a month and at which time of the month. This will subsequently help them to know how much you earn and when you get your major pay checks. Normally, they will want to loan you much less than you earn on a monthly basis, especially when you are expected to pay back the loan within a month. They would want to be sure that expected income will be enough to pay back the loan at the agreed time. A secured loan is a type of loan where the borrower has dropped some sort of collateral to the bank or loan company in exchange for the loan. The collateral is usually an item that is as valuable as the loan plus interest or more valuable than that. The loan company keeps such collateral or the ownership documents of the collateral until the borrower pays back the loan. In the even that he is not able to pay back the loan; the loan company can recoup their money and interest by selling off the property. That way, the loan company is assured that they are not going to make any loss on the loan irrespective of if the borrower defaults or not. In the case of unsecured loan, the only guarantee the loan company has is your word that you will return the loan and a peak of your account statement that your earnings can comfortably settle the loan. This type of loans is usually small amounts with interest rates that are high. The loan company also has a very high probability of making a loss, because if the individual loses his job, falls very ill or dies before repaying, it might be almost impossible getting back the loan. 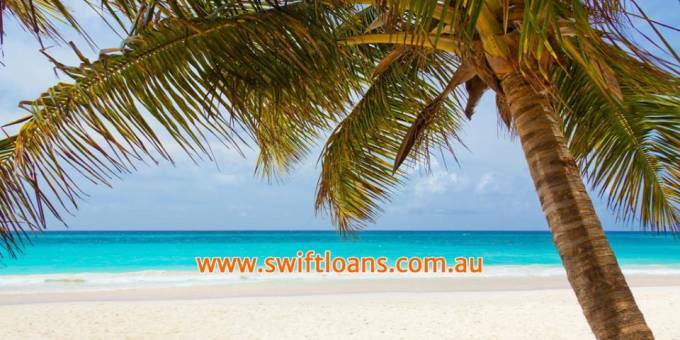 For more information on Quick Personal Loan, check out the info available online; these will help you learn to find the swiftloans.com.au | Quick Loans Australia.